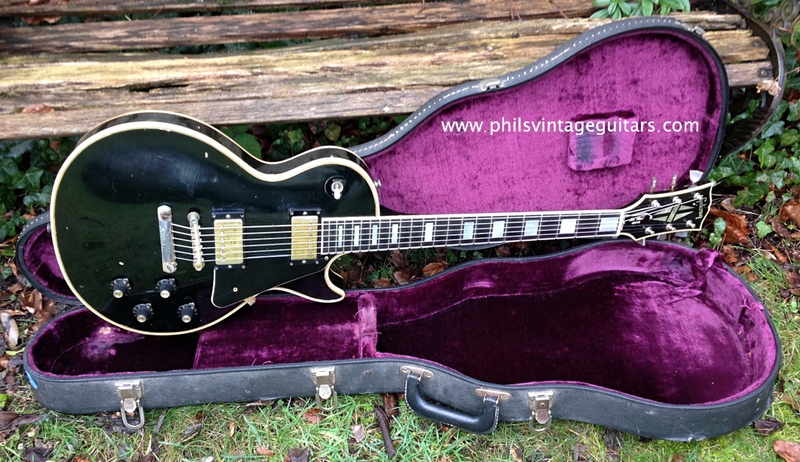 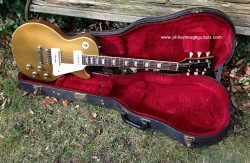 Here we have a great example of the legendary mighty Gibson Les Paul Custom and unbelievably it weighs in at only 8.6 llbs which if your familiar with these is refreshingly light. 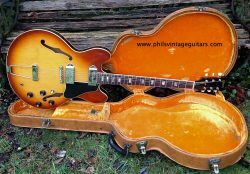 Pots date to 37th week of 1969 and the guitar features the making of a small volute with no “Made in the USA” on the back of the headstock. 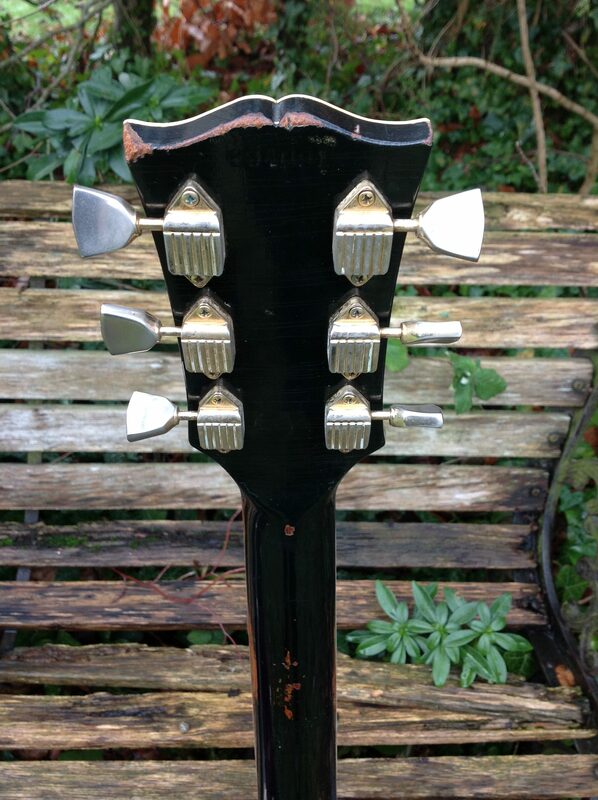 The guitar still has its waffle back tuners and no others have been on. 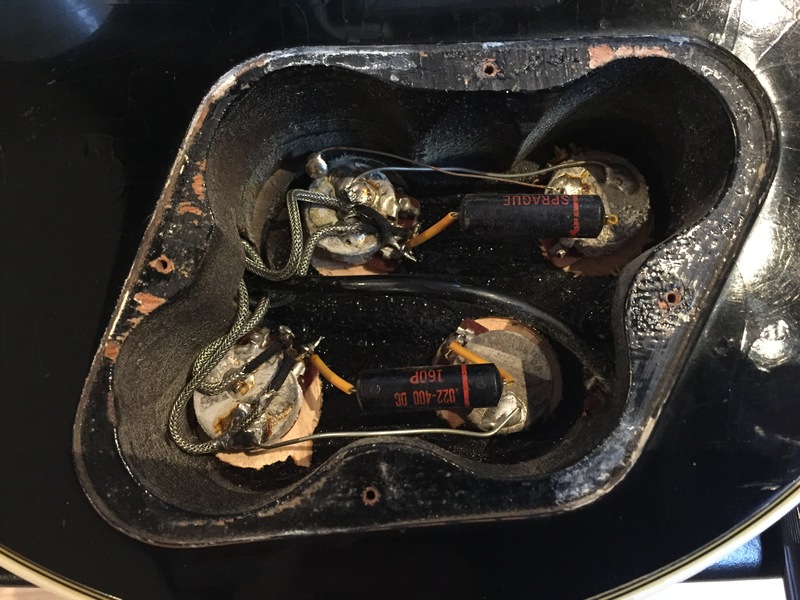 Pickup covers have been off and back on, and the 2 “T” top hum buckers sound just as they should. 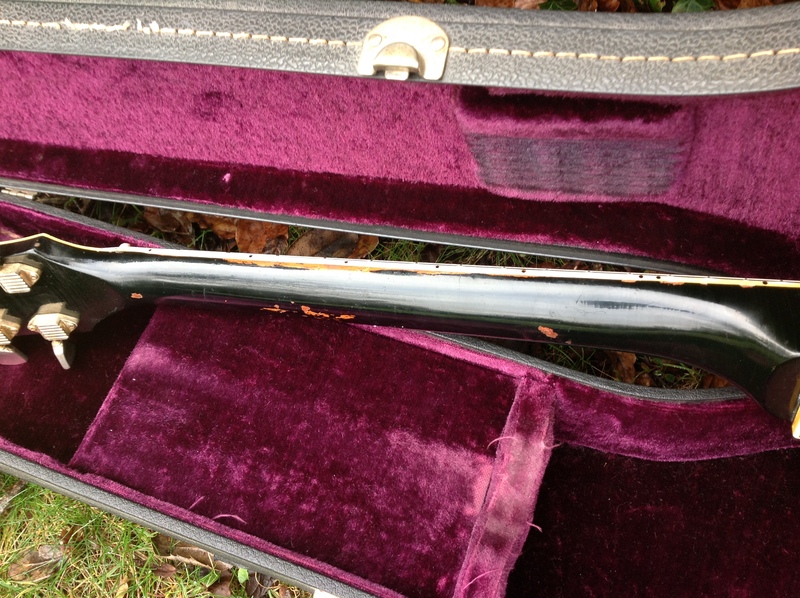 The nylon saddles have been replaced with the originals in the case. 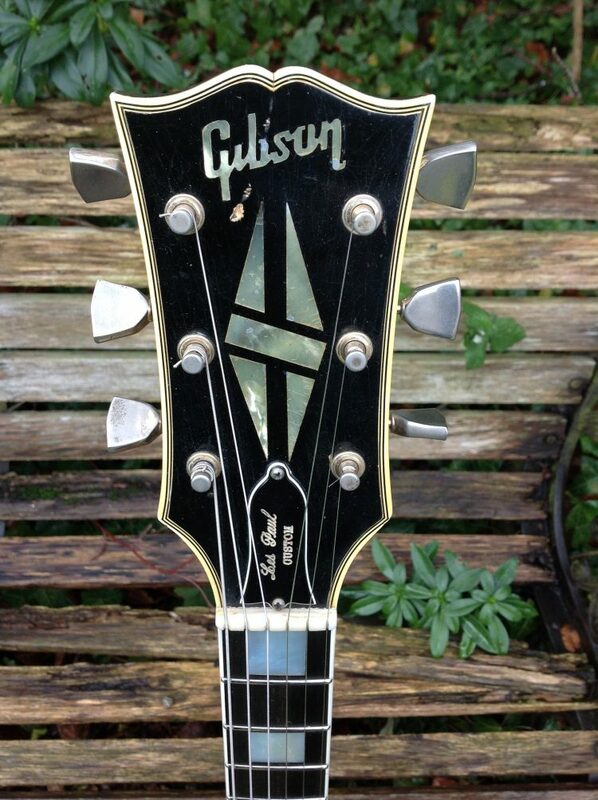 The pick guard is a replacement. 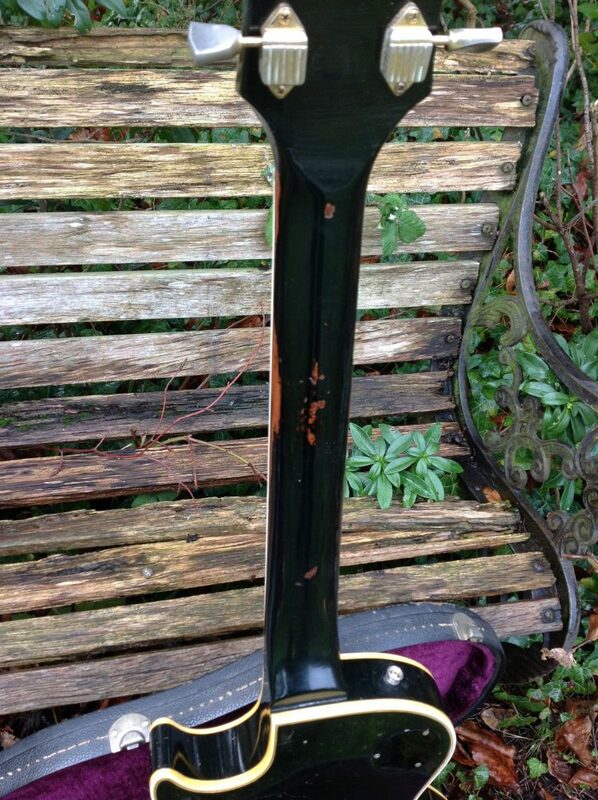 The overall condition is good with no breaks or repairs but with plenty of age related wear to the paint as you would expect. 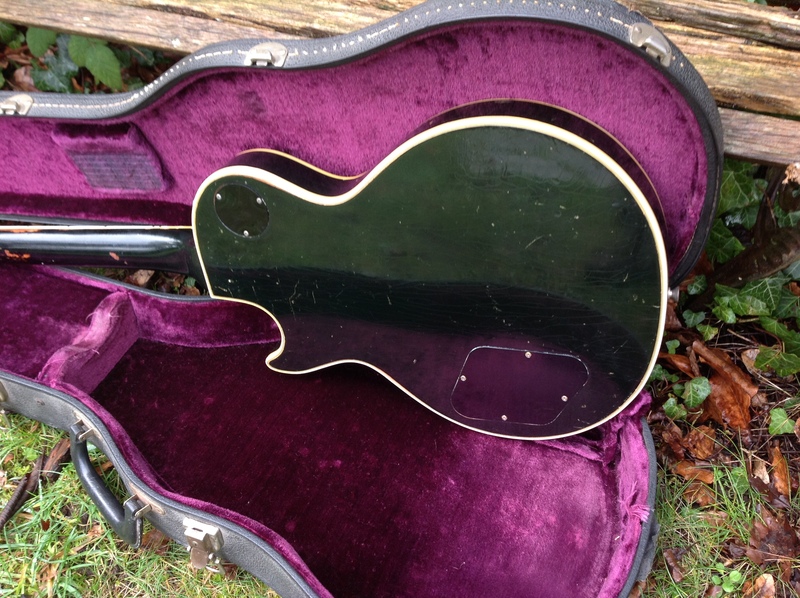 The guitar has just been re fretted and pleked so plays faultlessly and is ready for anything. 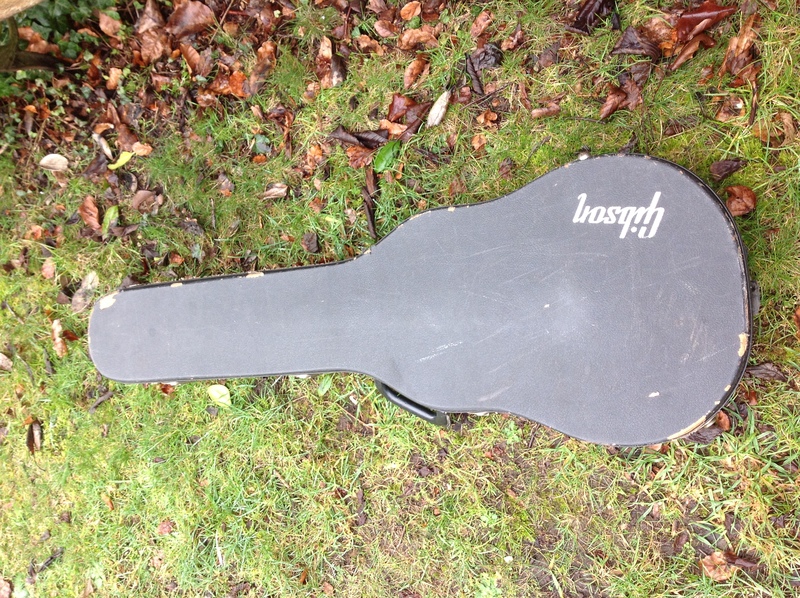 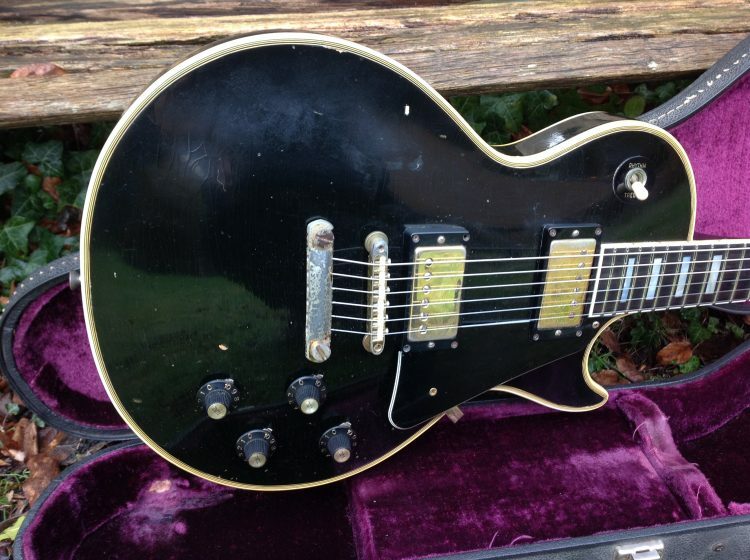 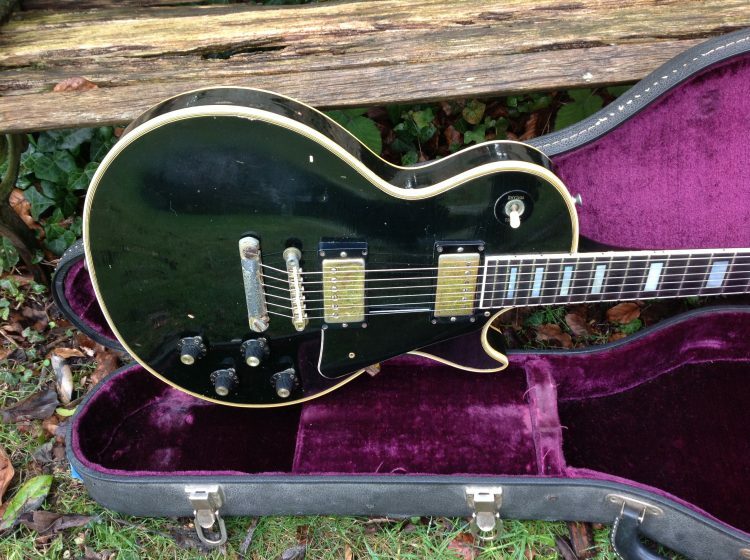 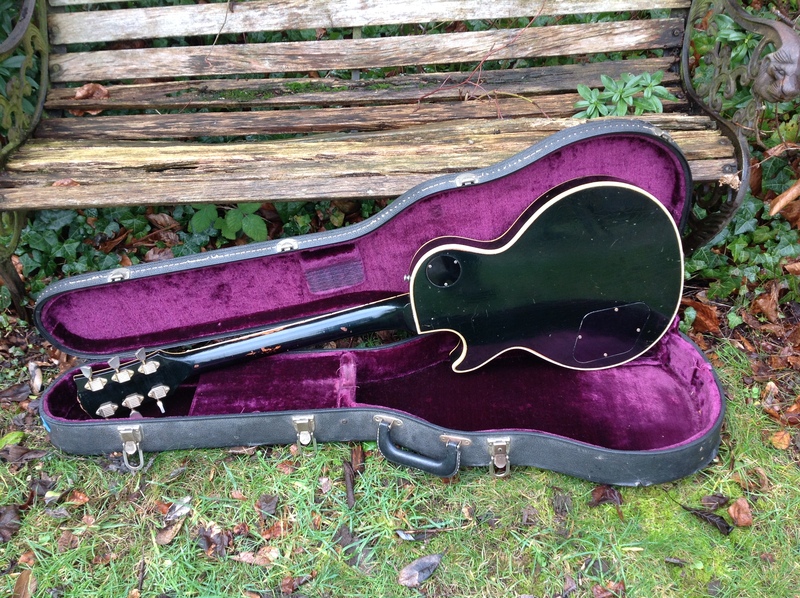 Comes with its original Gibson case.